A: Yes! Once registration opens in March, a printable registration form will be available on the Register Now webpage. Q: Can I change/add sessions after I register? A: Yes! Simply return to online registration and login. Click on MY EVENTS, then next to the Core Conference – Chicago, click ADD SESSION(S). Add the sessions you plan to attend and click REGISTER NOW. A: Yes! 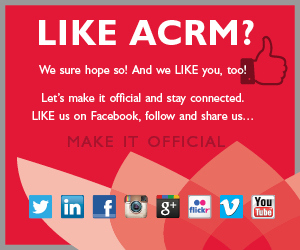 ACRM offers customized group rates and Institutional Membership to help your organization provide access to ACRM programming to your whole team. Contact Jenny Richard, Director of Membership & Community Relations, +1.703.574.5845. A: Yes! Students, residents, fellows, and professionals who completed their training within the past five years are eligible for substantial savings. See the Register Now webpage for conference pricing. Q: Where can I find pricing prior to registering? A: Visit the Register Now webpage. Early birds enjoy handsome savings. A: Yes! But the earlier you register, the MORE you SAVE! Register here. Q: Where and when can I check-in/ register on site? A: Between Salons B and C on the Lower Level. Q: Will the Marathon on Sunday impact access to the Hilton Chicago? Q: How far is the Hilton Chicago from the airport? Q: I’m planning to drive to the conference. Does the Hilton Chicago offer onsite parking? A: Yes, but it’s expensive: $55/day (garage) or $72/day (valet). We recommend using SpotHero.com to find the best parking options available. Q: Can I extend my stay in Chicago at the ACRM Conference Rate? A: Yes! 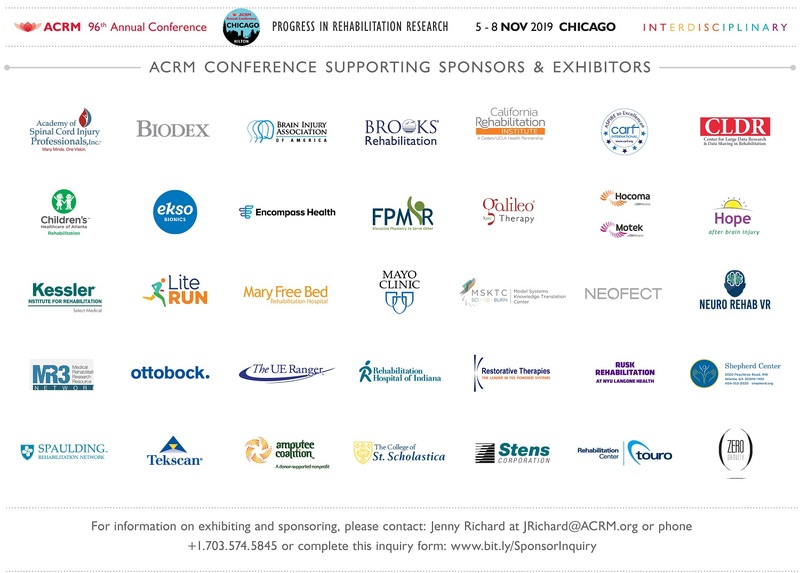 The ACRM Conference Rate at the Hilton Chicago is available from 27 OCT through 7 NOV. Book your reservation here. Q: What restaurants are available inside the Hilton Chicago and in the surrounding area? 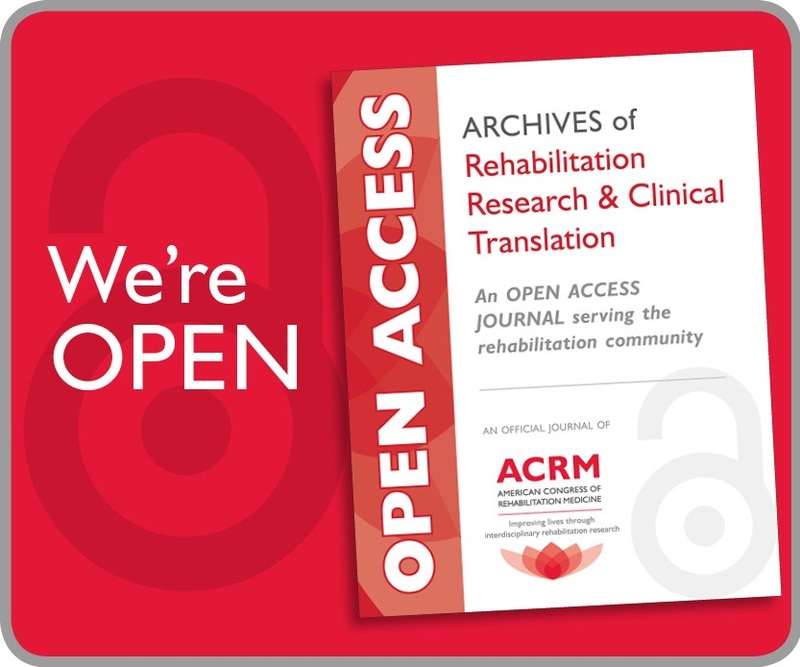 Unlike some of the huge, impersonal conferences out there, Progress in Rehabilitation Research is designed for personal interaction — between you and the world-class speakers, and between you and other experts in your field. We encourage you to bring your questions! Q: I don’t have time to attend a 3-day conference. Can I attend ONLY pre-conference courses? Q: Will there be an exhibit hall? A: Yes! 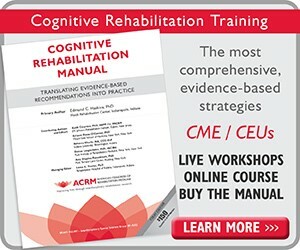 Expand your educational experience by visiting the ACRM EXPO, featuring the latest rehabilitation technology, products and services. A: Meals are not included with CORE conference registration. Tickets to informative Luncheons with Guest Speakers are available for purchase, and dinner is included in the ticket to the Henry B. Betts Awards Gala (included in the WORLD PASS registration option and available for purchase separately). Q: Will Wi-Fi Internet be available? A: Yes! In Chicago, attendees staying at the headquarters hotel will have standard wi-fi access in their rooms. Wi-fi will also be available in the lobby, onsite restaurants, and all meeting rooms. Q: Was is the attire at the Henry B. Betts Awards Dinner & Gala? Q: ADVANCE registration pricing ends before acceptance notifications are scheduled to go out to paper/poster presenters. Will ADVANCE rate pricing be extended? A: We recommend you register early to secure the lowest pricing. If you are unable to commit to payment prior to acceptance of your paper or poster, you may register for the conference and select ‘bill me’ from the payment method drop-down menu. This will lock you in at the current registration rate and you will have 30 days to remit payment. Q: Is there a speaker/presenter registration rate? A: Yes! The presenter rate is $100 off the CORE Conference registration. The earlier you register, the more you save! If you qualify as a student/resident/fellow or early career attendee, you are already qualified for the lowest possible rate. No additional presenter discount applies. The presenter discount does not apply to single-day registration. Q: How can I participate next year as a presenter? A: Visit the 2017 Conference website for proposal submission deadlines and conference updates. Q: Where and when will the 2017 Conference be held? A: 23 – 28 OCT 2017 at the Hilton Atlanta in Georgia, USA.